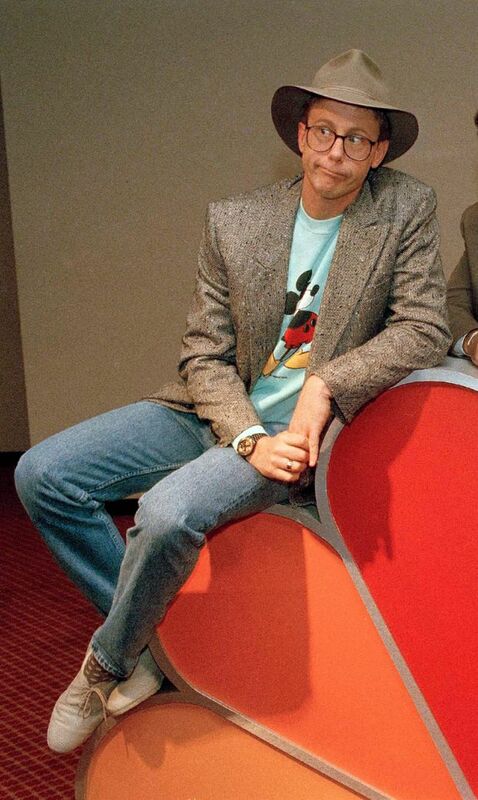 In this May 19, 1988, file photo, Harry Anderson poses after a press conference in New York. “I am richer than Davy Crockett,” Anderson said in the story. “I can settle back and do what I want to do. And what I want to do is card tricks and magic.’ That includes magic shows for corporate clients (”Fifty-five minutes with applause,“ says Anderson) at $20,000 a pop.